How many of you have a subscribe button on your blog sidebar or somewhere on your site but you’ve yet to figure out what to do with it? I know the feeling. I didn’t send my first newsletter out until seven months after I launched my business. I frankly just didn’t know what to do with an email list and I didn’t see the point of it. If I wanted to share an update about my business I could easily post on social media or write a blog post. 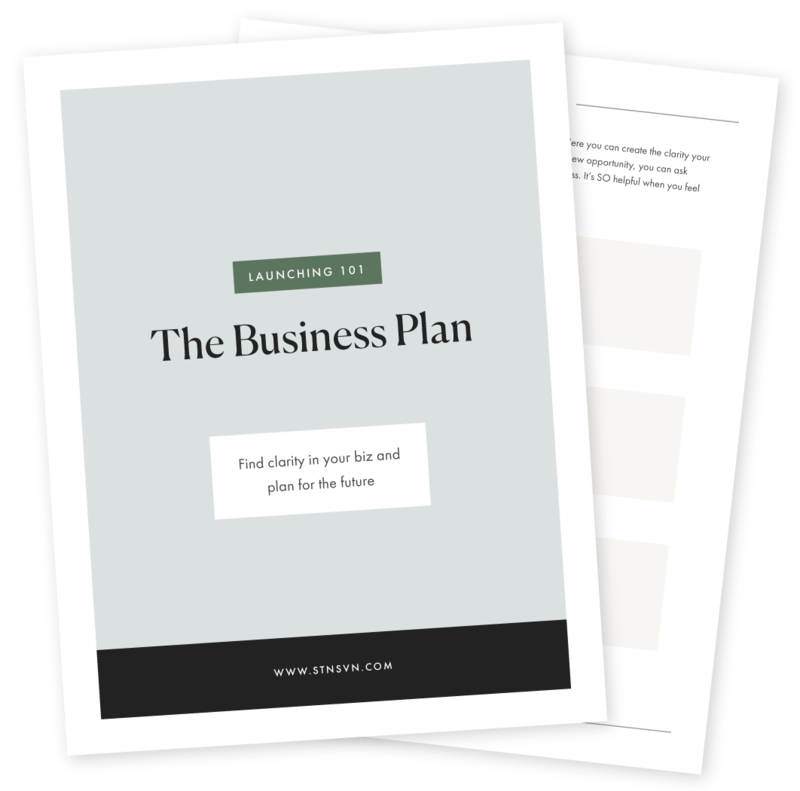 But now that I’ve started to implement some strategy into my newsletter and have researched ways that it can be beneficial to my business I have definitely been making it more of a priority and I think you should too! So why should you have a newsletter? Having a newsletter is beneficial for many reasons. If you sell products, your newsletter is not only a great way to promote new products or notify your followers of a sale, but email newsletters also convert higher than social media. The reason may be that people are more in a buying mood in email as opposed to social media. Ever wonder why CB2 and West Elm are sending so many emails? Well that’s because they know that 30% of their list is ready to make a purchase at any given moment, all they have to do is nudge you to do it. You don’t have to send emails that often, but more on that later. Another benefit of having a newsletter is that it can help foster your tribe of followers. When someone signs up for your email they’ve already proven that they like your brand enough to take it one step further than just following along on your social media. If you can foster that relationship you are more likely to turn that follower into a regular reader, a buyer, a client, or just someone who loves your brand which is great in itself too. There are countless ways to grow your newsletter. But I want to focus on 5 ways that I believe shouldn’t be too difficult or intimidating to put into practice. One thing you can do is to create a page on your website specifically for your newsletter. Then everywhere that you have your website link, such as on social media, replace that with your newsletter page link. So when people click your link on your Instagram profile they’ll be sent directly to your newsletter page. Things to include in the newsletter page are: What the newsletter consists of, how often you send it, the value that your reader will get out of it, and even some customer reviews. I’ve seen big bloggers do this and those customer reviews seem to really help. I’ve included a screenshot of Elle & Co’s newsletter page. Doesn’t the word newsletter sound so passé and boring? It also sounds really vague. With a newsletter you don’t really know what you’re going to get or how often you are going to get it. When you are up front about the intention of the newsletter and what its value is, your followers are more likely to subscribe because there is no ambiguity to it. I like that Elle & Co’s newsletter isn’t a repeat of what’s already on the blog. Instead, it’s valuable content that I’ll only get if I subscribe to the newsletter. So the theme there is behind-the-scenes business advice with real data and real issues that they are solving pertaining to their business. If you are a blogger or have a blog section on your website this can be one of the best ways to grow your newsletter. Since you’re already writing blog posts, it’s not a far reach to start incorporating content upgrades. A content upgrade is an extra piece of content such as a workbook, a check list, or a guide that accompanies a blog post. A content upgrade can consist of almost anything. Say you write a blog post on 5 vegetarian recipes, you could do a content upgrade that has a pdf with the recipes nicely laid out and a printable shopping list. The key thing is that the content upgrade provides added value to the blog post. In order to get that content upgrade your reader will have to subscribe to your email newsletter. When you promote that blog post be sure to include that there is a freebie included. You can even do this for posts you’ve already written. If you have lots and lots of blog posts and don’t know where to begin take a look at your analytics and see which of your blog posts are the most popular. Then create content upgrades for those blog posts and re-promote them (via Pinterest, Facebook, Twitter, etc). If you plan on focusing your newsletter strategy by creating content upgrades then you might want to consider creating a library for all of those upgrades. This will make it easy to access for those of your followers that are already subscribed and will add another layer of why your followers should subscribe to your email list. One of my pet peeves about content upgrades is that if I’m already a newsletter subscriber I have to sign up for that particular newsletter each time I want to download the content upgrade. Having a library eliminates that problem. Tips! You can create content upgrades on Canva, Illustrator, and Photoshop. If you'd like templates for Photoshop (download a free trial here), check out our design kits. Workbooks, templates, stock photos + more to help you look legit + start growing! A lead magnet is similar to a content upgrade except it is not attached to a blog post. This gives people an immediate reason that they should subscribe to your newsletter. An example of this could be the library I mentioned earlier. Your newsletter landing page could promote the library that is full of freebies. A lead in is basically an exchange. In exchange for your follower’s email address, she gets access to your library. I recently opted-in to Freja Daily’s email newsletter because I wanted the toolkit that came with it. And let me tell you it was a pretty valuable toolkit. It had lists of must-have tools for creative entrepreneurs such as productivity apps, websites that have free stock imagery, ways to promote my small biz and more. If you decide to create a lead magnet as your main strategy you’ll want to put that lead magnet front and center. Put it on your newsletter landing page. Or if you’re sticking to your widget, change the verbiage from subscribe to something like Wanna grow your biz? Sign up below to get my ultimate business toolbox! and include a picture of it. You could even put that verbiage on other social media accounts and then direct your audience to your newsletter landing page. One thing that Freja Daily did was they announced their lead magnet on Facebook and pinned that post to the top so it would be the first thing you saw when you went to their page and it stayed there for a few weeks. Below is a screenshot of the studio We Are Branch's homepage. At the top of the homepage is a call to action to sign up for their list in order to receive their exclusive freebie. Say what? I know what you’re thinking I already have to create a content calendar for my blog, now this too?! Think about how beneficial your editorial calendar is to the growth of your blog and even how beneficial it is to just keeping you on track. Same goes for your newsletter. Set a schedule that sounds doable and stick to it. If sending a weekly newsletter sounds like too much work then don’t do it. Maybe once every two weeks works for you. Once you decide how often you’ll send out your newsletter create a calendar of content. Sticking to a schedule ensures that people don’t forget about you. If I subscribe to your newsletter and don’t hear from you for 2 months, chances are that I’m going to forget why I even subscribed in the first place. When it comes to content come up with 4 topics that you can share on your newsletter. Here are some content ideas: a mini blog post, an invitation to a twitter chat, a behind the scenes post on your business, a freebie like your free content upgrade, a case study on a recent successful project you worked on (this one’s great for all you service-based entrepreneurs). Okay so just because someone signed up for your list doesn’t mean you have free reign to send them just any old thang. When I sign up for someone’s email I am inviting them to my inbox but I’m also trusting that they won’t send me spam. Make sure you are providing your subscribers real value. Ultimately what your newsletter should accomplish is a way for your subscribers to get to know you better and get value out of it. I know some of these tips sound like they involve a lot of planning but sometimes the best thing you can do is just start. Once I sent my first newsletter I became more aware of the fact that I can’t let too much time happen before I send the next one. It also prompted me to make my newsletter strategy a priority. 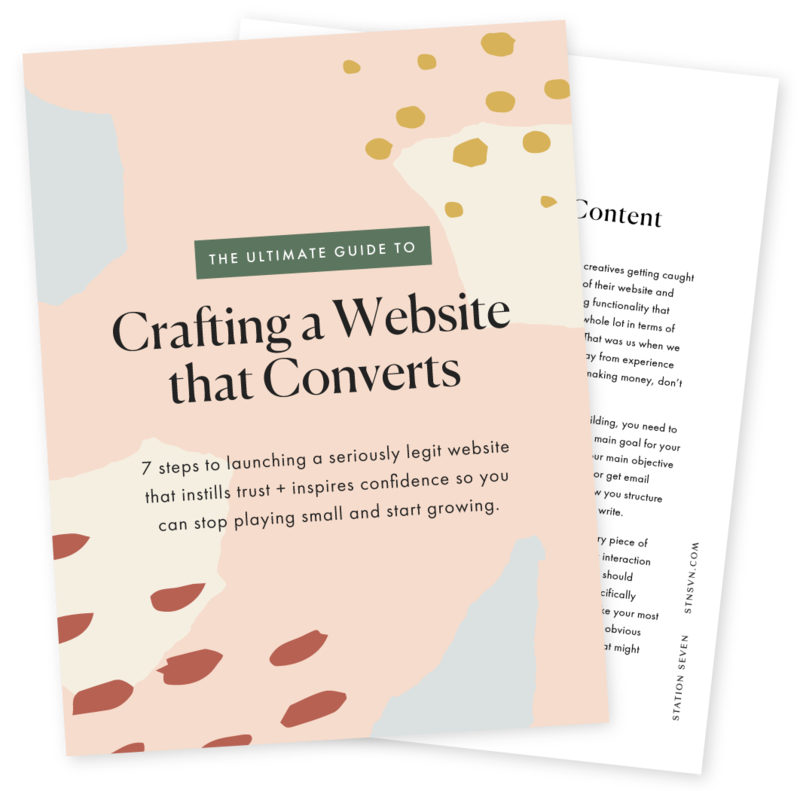 Grab these 7 steps to launching a seriously legit online presence that engages + converts! So there you have it. Like I said, there are countless ways to grow your newsletter and different tactics will work for different types of businesses but these are 5 things that will help you start thinking about your newsletter in a most strategic way. Do you have anything to share about your newsletter strategy? Let us know in the comments below, we wanna hear about it!